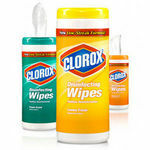 I will admit I am slightly obsessed with the original Clorox wipes and use them daily. However, I feel guilty about the amount of waste they produce and how wasteful they are in general. 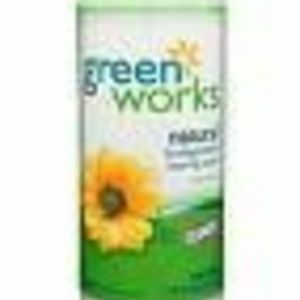 When I saw Clorox Green Works Natural Cleansing Wipes I thought I had finally met my perfect match. 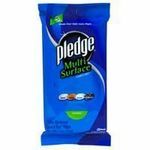 Performance These wipes are perfect for dusting surfaces, wiping down a counter, cleaning up small spills, and many other light duty cleaning tasks. They are perfectly moist, do not dry out, and dispense easily. They are convenient, effective, and I trust these wipes to disinfect my counters without leaving any harmful chemicals behind. These wipes are not as durable as the original wipes. They do not have the extra kick that the original wipes do for sticky messes and the wipe material is not as strong. I still use them on a regular basis for easy jobs because they let me feel good about using them. Scent The scent is really fresh and not at all offensive. I originally bought these because I thought that they were comparable to baby wipes and would be something that wouldn't clog the toilet; I tell everyone not to flush the baby wipes but it never fails that someone forgets and I end up having to plunge the backed up toilet. Even though these aren't what I expected, they are a well made product that's great for cleaning up the toothpaste off of the bathroom vanity and off of the sink in the bathroom as well as accidents that kids have if they can't make it to the toilet in time. 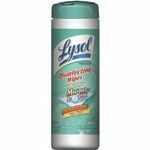 The smell is fresh and light and not something that irritates me sinuses; they are the perfect size for cleaning up the messes that the dogs make when they are eating as well as when the ferrets drag their fresh fruit pieces all over the place. In the summer that is a huge problem because if I don't clean up any type of food mess in a matter of minutes I know that I will have ants invading the kitchen. 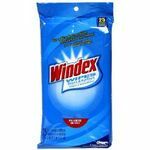 This is also one of the few cleaning products that I have found that destroys the scent trail that ants leave when they are hunting for food. You can kill the ants but if the scent trail is still there, more of them are going to keep showing up. 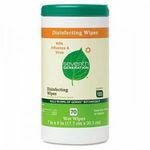 The wipes are easily dispensed from the container and they stay evenly saturated. There are only a couple of stores in my area that sell these but they are worth making a special trip to get them. My neighbor has a compost pile and was a little hesitant about me tossing these over the fence into the bin until I showed him the container. Not every single one of them makes it in to his compost bin but when I am cleaning up after my pets I have a nice pile to add to his bin. I wish that more stores sold these because they are a nice alternative to products that have a lot of chemicals in them.